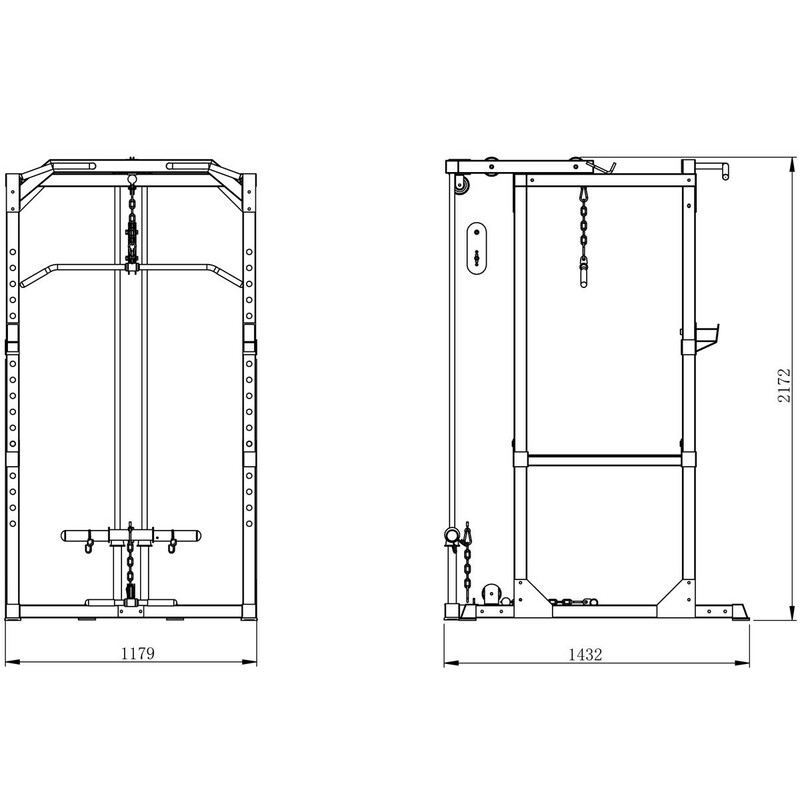 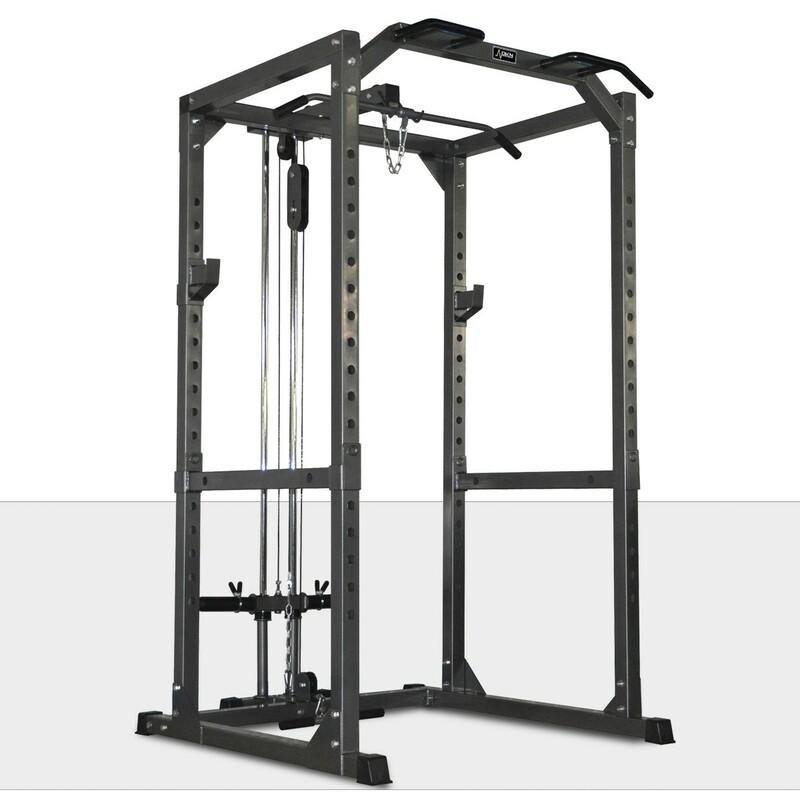 Lat/Low Pulley option for the Heavy duty Power Rack. 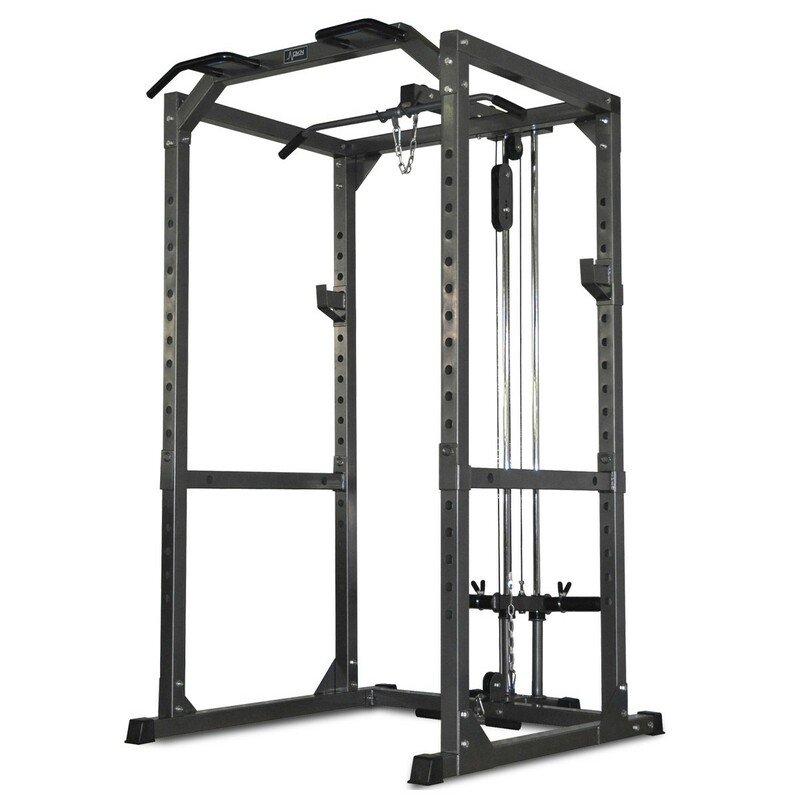 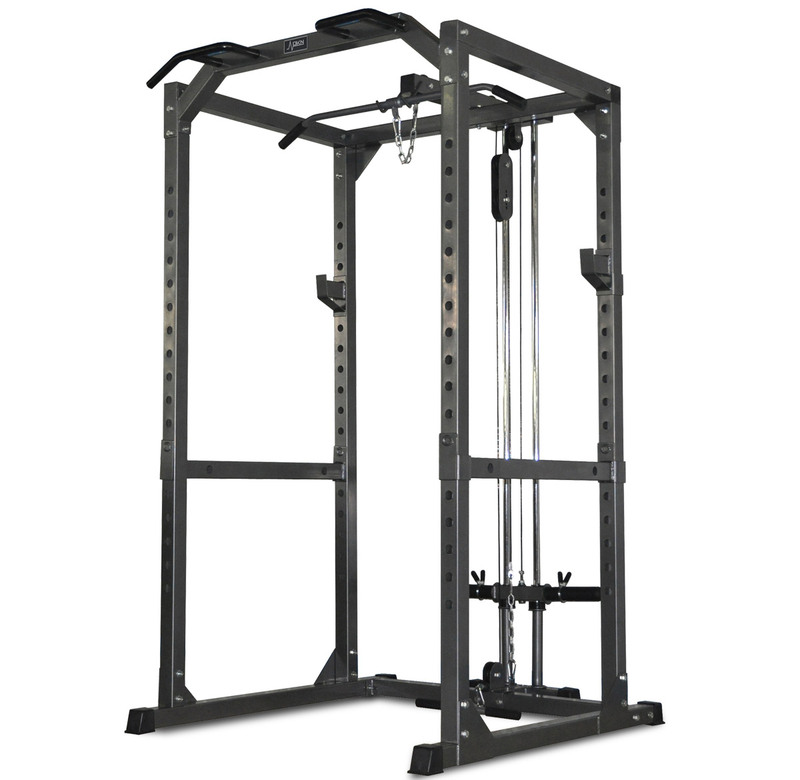 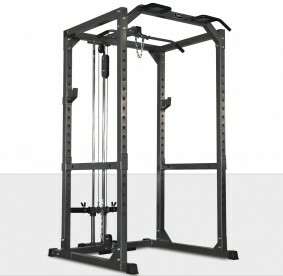 The Disc Loading Lat/Low Pulley Attachment fits the Heavy Duty Power Rack. 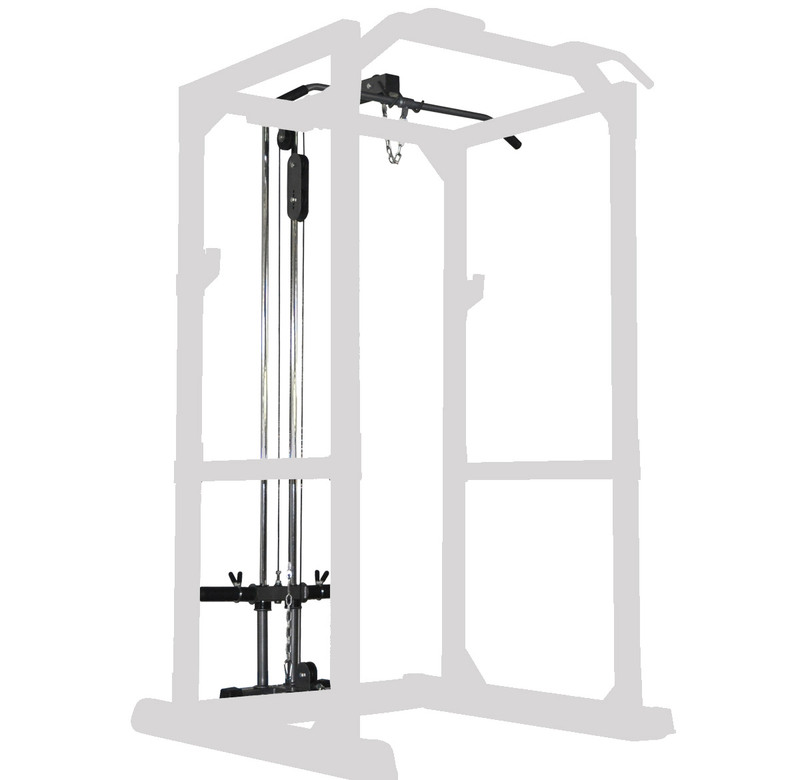 The Disc-loading fits both standards as Olympic discs.